When people talk about evolution and islands, it seems like the Galapagos get all the credit. 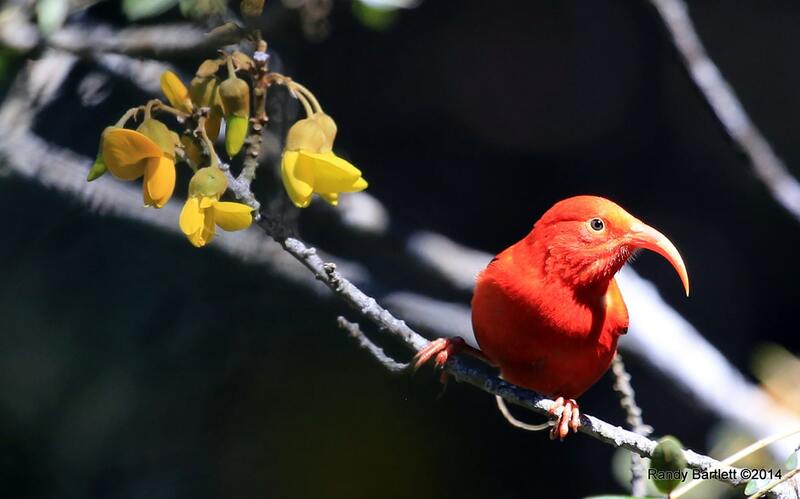 But just like that island chain, with Darwin’s famous finches, the Hawaiian archipelago is itself a stunning natural lab for adaptation and evolution. As new lands is created and as old islands erode, the Hawaiian islands have developed a fantastic array of microclimates and habitats—and unusual species have evolved to take advantage of each one. Malia Rivera of the the Hawaii Institute of Marine Biology and Melissa Price of the University of Hawaii at Manoa join Ira to talk about some of those species—like a cornucopia of native snails and crafty, thieving spiders—and the extinction crisis the islands are facing, plus the efforts to get native Hawaiian students on track for careers in science. Check out some of the unusual species below. Various Hawaiian tree snails. Credit: David Sischo. White ectomorphs that have repeatedly arisen in the Hawaiian archipelago. Credit: George Roderick. `I`iwi on Mamane. Credit: Randy T. Bartlett. Malia Rivera is a scientist and educator for the Hawai‘i Institute of Marine Biology. Melissa Price is a wildlife biologist and assistant professor at the University of Hawai‘i at Mānoa. When people talk about evolution and islands, it seems like the Galapagos gets all the credit. But just like that island chain, with Darwin’s famous finches, the Hawaiian archipelago is itself a stunning natural lab for adaptation and evolution. Because as new land and islands are created, like what’s happening at Kilauea right now, and as old islands weather and erode, you get a fantastic array of microclimates and habitats. And here to talk about some of those species, like a cornucopia of native snails, crafty thieving spiders, and the extinction crisis the islands are facing, are my next guests. Malia Rivera is a scientist and educator at the Hawaii Institute of Marine Biology in Kaneohe. Welcome. Melissa Price is a wildlife biologist and assistant professor at the University of Hawaii at Manoa. Welcome to Science Friday. Malia, when people to talk about diversity, many times, they’ll point to, as I say, the Galapagos as an example of a remote island community where you get diverse evolution. And it’s quite visible. But Hawaii compares quite favorably in terms of diversity. It’s really an interesting place also. We don’t hear much about that. DR. MALIA RIVERA: Yeah, Hawaii has probably a much higher rate of endemism than does the Galapagos Islands. The Hawaiian archipelagos isolation being the most isolated land mass, just dots of islands in the middle of the Pacific Ocean, lends itself to have a high rate of species evolving within the islands. The Galapagos, on the other hand, it’s relatively close to the continental landmass of South America, just off of Ecuador. So that isolation isn’t quite as extreme as it is in Hawaii. And what you end up with is still a high rate of endemism but not nearly as high as in Hawaii. IRA FLATOW: Melissa, is the fact that the islands are all different ages, is that important– significant for biodiversity? DR. MELISSA PRICE: Sure. With the Hawaiian tree snails that I study, we have introductions. And then you have speciation taking place. You get a diversity of snails. You get introductions to different islands. With those tree snails, they’re hermaphrodites. You can have a single colonizer. And they diversify up those dramatic gradients, colonizing all the different habitat types. And so sure, definitely as new islands appear and you get new radiations, it contributes to that. IRA FLATOW: Malia, tell me about this very unusual kind of spider. 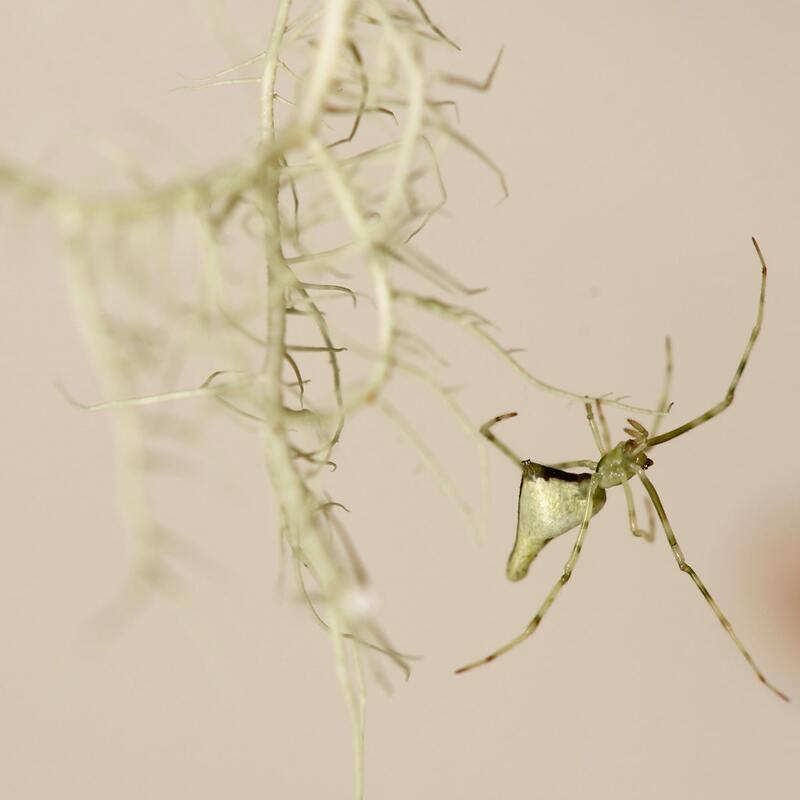 You study spiders that colonized the islands once, and then they underwent a lot of adaptations to live here. Tell us about that. DR. MALIA RIVERA: Well, there’s actually two groups of spiders that are closely related within this subfamily called Argyrodes. And they are both established by single colorization events to the Hawaiian archipelago, and then speciation within the Hawaiian Islands. So the first one is a group of spiders from the genus Argyrodes. And these are kleptoparasites, meaning they invade the web of the host spider and basically steal from that spider. They don’t build their own webs that they reside on, but they basically steal from a large [INAUDIBLE]. DR. MALIA RIVERA: Klepto– yeah, they’re called kleptoparasites. And a second group, within the same sub-family in the genus ariamnes, those are primarily nocturnal [INAUDIBLE]. So they hunt at night, and they hunt other spiders. So they’re very stealth, they creep around in the dark. And they form these lassos of silk, and they basically throw it at their prey spider. DR. MALIA RIVERA: Yeah. Yeah. So that second group is the one that really has radiated in the Hawaiian archipelago. It’s much more speciosis. There’s many more species of the free-living [INAUDIBLE]. But they also have a few of the species within that group who are facilitative kleptoparasites. So they can still invade webs of a host spider and steal from them. Or they can easily live on their own as well. IRA FLATOW: Now, the question for me– and we were talking about the Galapagos as being remote, Hawaii being remote. How does a spider get to Hawaii? I mean, from the mainland or some other place? DR. MALIA RIVERA: So spiders have this very cool adaptation called ballooning. So when they emerge from an egg sac, they will throw up a strand of silk. And this silk can basically carry them off in the air current. So one possible mechanism of dispersal is through this ballooning adaptation. How these particular spiders got to Hawaii, we won’t really ever know for sure. But that’s one possible mechanism. Or they may have arrived, what we say [INAUDIBLE], riding on the feathers of a bird that may have come on the currents as well. That might be another mechanism. IRA FLATOW: And they could go for many, many miles in the air. DR. MALIA RIVERA: Yes, yes. IRA FLATOW: Across oceans that far? DR. MALIA RIVERA: Yeah. I mean, how else are these things getting here? IRA FLATOW: I don’t know. You’re the scientist. That’s why I’m asking you these questions. DR. MALIA RIVERA: Well, once when I was a graduate student– this was 25 years ago. But I was in the lab. And these are relatively small spiders as adults. They’re just a few millimeters. So the babies, when they emerge from the egg sac, they’re really just pinheads. They’re very tiny. And I could see them ballooning just in the lab from the currents of the AC. They would just fly off. Yeah, it was quite cool. IRA FLATOW: “Life will find a way.” That quotation, I remember. Melissa, one of the native species that you’ve studied are these really colorful tree snails. I mean, these aren’t your garden variety snails, are they? DR. MELISSA PRICE: They’re beautiful. Yeah. IRA FLATOW: They can live for over a decade? DR. MELISSA PRICE: Oh yeah. So at least one snail, that was measured over and over in the field that was marked, lived up to 18 years. Actually, it was marked as an adult. So it’s probably older than that. IRA FLATOW: The regular garden variety snails do that also, or are these special long-lived snails? DR. MELISSA PRICE: So this is typical of island species. So there’s a gigantism that occurs over time. And so you end up with– even though these guys only are a couple centimeters, maybe an inch long at most, they’re the some of the largest snails in the islands. The ones people see in their gardens are the giant African snails. They’re all introduced to the islands. They’re not native. But the native ones are quite large, and tend to live a little bit longer. They’re like a sea bird. They depend on a long life history to be able to have a decent population size. So the overcollecting and introduced predators that have devastated them really have had a huge impact. They don’t even reach maturity till five years of age. IRA FLATOW: Beg your pardon? DR. MELISSA PRICE: Yeah, it’s the last individual of achatinella apexfulva. So when I was first introduced to tree snails in 2012, and we were hiking up to visit some achatinella sowerbyana, a closely-related species, we reached the spot where the last apexfulva had been seen in the ’90s. And unfortunately, as predators move up in elevation, introduce predators, snails are disappearing faster and faster. And actually, this year David Cisco, this snail extinction prevention program coordinator for the state, is having to evacuate most of the native snails, at least in the genus achatinella, out of our highest elevations to save them. Either to captive breeding facilities or predator-proof enclosures. IRA FLATOW: Do we have snails going extinct every year? You know, are they dying off? DR. MELISSA PRICE: My favorite species achatinella lila, which is rainbow-colored, absolutely beautiful– red, yellow, green stripes on it. And three years ago, I was up at the last population. There were about 300 individuals. This year, about two months ago, David went to evacuate them. In 20 hours of searching, he only found one snail. So yeah, I think it’s hard for people to understand how fast the rate of extinction is. And the sad thing is we know what we can do to save these. We have tools available. It just takes more funding than we currently have available. IRA FLATOW: Wow. And as I say, if you’d like to ask a question, we’re not taking phone calls today. But we’re taking questions from the audience. We have a couple of microphones available on both sides, and up there in the balcony. Can you do anything to save the snails? IRA FLATOW: I feel bad, the way you’re talking about them. We’re losing them. IRA FLATOW: Follow the money. DR. MELISSA PRICE: Yeah. So for the snails, the three predators are Jackson’s chameleons. Euglandina rosea, an introduced carnivorous snail. And then rats. And we have tools available to fight all three of these with the predator-proof enclosure. But it takes quite a bit of money to build those. But once they’re built, we do have the ability to protect them. IRA FLATOW: Let’s go to the audience for a question. Over here, yes? AUDIENCE: At this rapid rate of extinction, at what time do you believe that most, if not all native snail populations, will have died out completely? IRA FLATOW: Five to 10 years? DR. MELISSA PRICE: Possibly. The euglandina rosea, because they can follow slime trails, they’re chemo-sensory, they really are efficient predators, and they just clean them out. So yeah, we got to do something now. IRA FLATOW: OK. Maybe somebody will hear us and free up some money someplace. DR. MELISSA PRICE: We only need $12 million, and we can save everything that David manages. In the big scheme of things, actually, it’s not that much money. IRA FLATOW: It’s after you give your check to public radio. Malia what about the spiders? Are they endangered also? DR. MALIA RIVERA: No, they’re fairly abundant. You just have to know where to look for them. But it’s more the habitats that they’re in that are under threat. But the spiders themselves don’t seem to be that difficult to find. At present, I don’t think there are any really robust population surveys of them. At this point, pretty much the only people who have looked at these spiders are me and my old advisor at Berkeley. So we haven’t done those. I’m pretty sure nobody else has, either. But we’ve never really had trouble finding them. We just know what kind of habitats to look for [INAUDIBLE]. IRA FLATOW: Do you think there are a lot of spiders that are yet to be found? DR. MALIA RIVERA: Oh, yeah. IRA FLATOW: I’m always shocked at the answers I get, about how many that are out there we don’t know about of anything. DR. MALIA RIVERA: Yeah. Well this group of ariamnes– I don’t know if you put pictures up there. But they were originally described in Hawaii back in 1900 by early naturalists as a single species. And since then– yeah this is just a few of them. As you can see, they’re quite beautiful. Then they come in all of these amazing colors, and they are cryptic on their habitats. But unless you’re looking for them, you’re not going to find them, because they are cryptic. So when we started investigating this group, in 2007, we discovered 10 new species. And probably that number is more about 15 right now. So if we weren’t looking for them, they wouldn’t even have any kind of descriptions or names to them. And I think that’s the case for a lot of invertebrates in the terrestrial environment. IRA FLATOW: Melissa, you agree with that? We don’t know probably most of what’s left out there? DR. MELISSA PRICE: Invertebrates are really understudied. 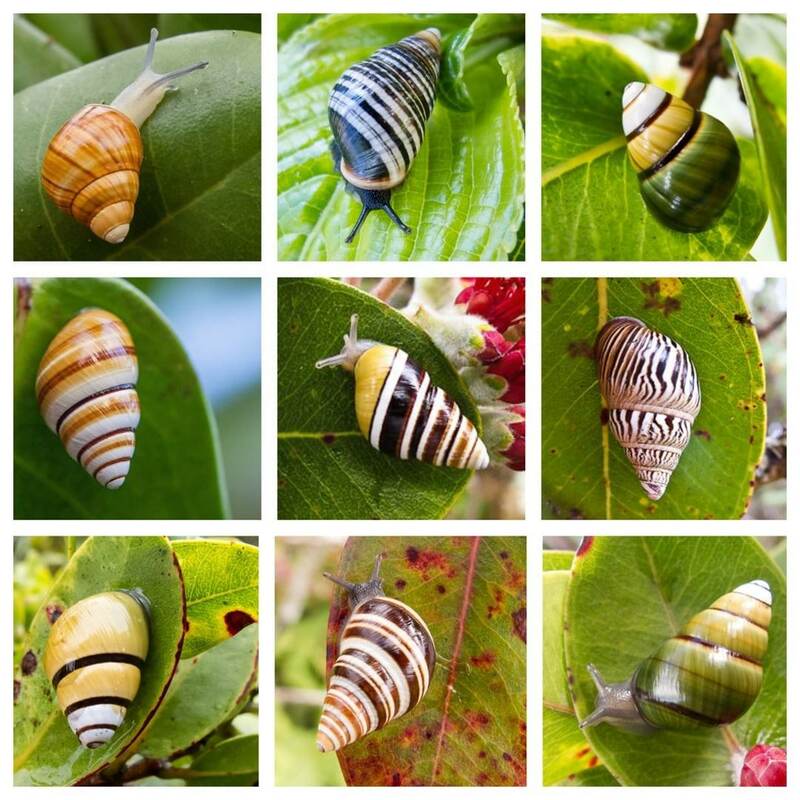 So Nora Young, who’s with the Bishop Museum, and along with Kenneth Hayes, has been leading a really great study to identify all of the land snails in the Hawaiian Islands. And they’ve been doing a tremendous job of identifying undiscovered species. IRA FLATOW: I’m Ira Flatow. This is Science Friday from WNYC Studios, talking about Hawaiian biodiversity with Melissa Price and Malia Rivera. I’m going to give you the blank check question that I give my guests sometimes. We’re talking about money here. Melissa, because you brought it up first, if you had a blank check– and I don’t have one in my pocket right now. But if you had, where would you like to spend it? How would you spend that money in your research? DR. MELISSA PRICE: I’ve really come to realize that I think training the next generation of scientists and stewards is where I would want to spend that money and my efforts. DR. MALIA RIVERA: Can I give a shoutout to some of my students? There’s a bunch of them, yeah. There’s a bunch of them up there, who are in one of my programs this summer. IRA FLATOW: Do you have a lot of students who want to be scientists? Do you know people? DR. MALIA RIVERA: So now that I am at the Hawaiian Institute of Marine Biology– and in Hawaii, people are really connected to the ocean. They live near it, they play in it, they surf in it, they eat from it. It’s an integral part of our lives. And so I come across students all the time who tell me they want to be marine biologists and marine scientists. And yet, something stops them from making that next step into pursuing those pathways. So that’s where we’ve developed these initiatives to try to get them to have access to opportunities, to do research and experience what it’s like to be a marine scientist in a very authentic way, in the hopes that it will inspire them to pursue those kinds of career goals. IRA FLATOW: When you say you have an initiative, does that mean you seek out the students, and you mentor them. DR. MALIA RIVERA: Yes. So we do a fairly targeted and active recruitment in schools, primarily Hawaii public schools. And I do this through partners who are embedded in these campuses. And they will identify students that they think will benefit from participating in some of the training programs that we have. And by nature of that recruitment strategy, we end up serving a lot of students who are typically underrepresented in science. In Hawaii, those are primarily native Hawaiian students, Pacific Islander students, and students of Filipino ancestry. And so those are a lot of the target demographics that we seek out to participate and give access to these programs. IRA FLATOW: Melissa, how would you spend my blank check? That I don’t have. DR. MELISSA PRICE: I’m always shocked at how little we know about even common species. For example, pueo, or short-eared owl in Hawaii. People love them. There are [NON-ENGLISH] or ancestral guardian is maybe one way to explain that. And so people really pay attention to them. And yet, we have little idea of even just basic population numbers. And so a lot of times, we have to start with basic biology. Shockingly, in this day and age where we’re thinking about sending people to Mars, we know very little about the species in our backyard. And so oftentimes, when we’re making management decisions about endangered species, surprisingly, we have to start with the basics. So I know it’s unsexy. But we have to start with reproduction and survival a lot of times. IRA FLATOW: Thank you both. We’ve run out of time. Thank you both for taking time to be with us today. Dr Malia Rivera is a scientist and educator, Hawaii Institute of Marine Biology. And Melissa Price is a wildlife biologist and assistant professor at the University of Hawaii. Thank you both, again, for taking time to be with us today. After the break, we’ll talk about an experiment simulating Martian life on the side of a Hawaiian volcano. Now I’d like to welcome back our musical guest Makana. Give him a round of applause. Come on out again. This is Science Friday from WNYC Studios. The 2017 Audubon Photography Awards are in, and the winners are a real hoot.